In another weird incident, an angry man sets his house on fire over being furious on his younger brother securing a government job. 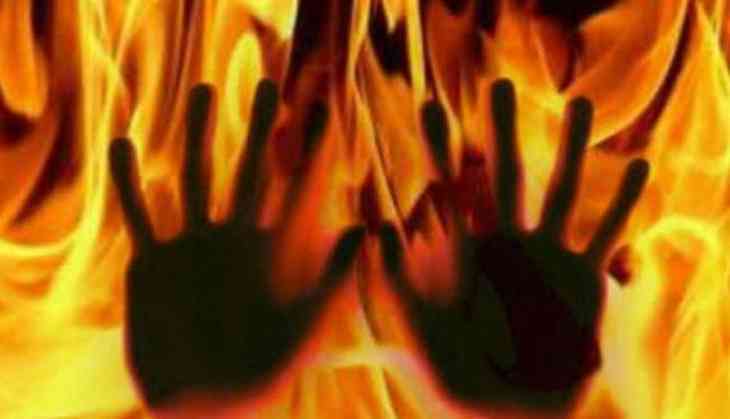 The 30-year-old man allegedly put two rooms of his house on fire, killing four members of the family and injuring four others in West Bengal's Malda district. The incident reportedly took place at Madantola village under Manikchak police station, they said. As per reports, accused Makhan Mondal allegedly poured petrol in two rooms of the roofed hut on Sunday night when the family members were asleep. The accused named Makhan and his younger brother Gobinda, 28, elder brother Bikash, 32, and Goninda's two daughters - aged 3 and one-and-a-half years - were charred to death, the police said. The police said Bikash's wife, son and daughter and Gobinda's wife were admitted to the Malda Medical College and Hospital in a serious condition. Meanwhile, the man put the house on fire, his mother, who was sleeping in another room, escaped unhurt. The police said Makhan, whose wife is now at her parents' place, was missing. The brothers were engaged in agricultural work. Their other brother Lakshman lives in Delhi. According to PTI, Police and family sources said Gedu Mondal, a worker of the National Volunteer Force (NVF), had died in harness sometime back and Gobinda got the job on compassionate grounds with help from Bikash, leaving Makhan angry.